September proved to be an interesting debut month for the rapper but in this time, the rest of her promotion journey is really what’s up. You discovered her when she first went mainstream in Ho Ngoc Ha‘s “My First Single“. You saw her when she released her very first MV “Walk“. 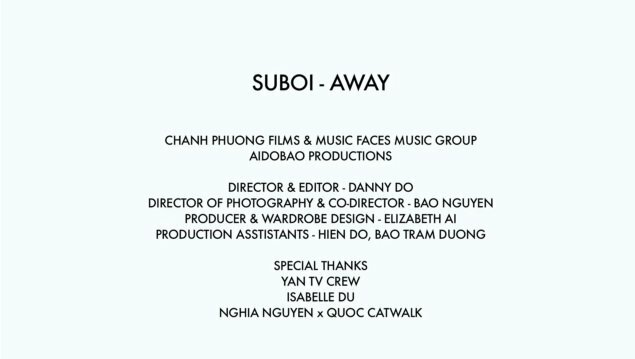 Now get ready for more Suboi goodness as the rapper will be releasing another MV for her second single, “Away“, from the album Walk. We’re digging the more feminine & grown punk-rock image. What say ye? I hope there are teasers!